Decided to go to go for a snack for with Arrow #3. At our regular haunt, we were offered something new. 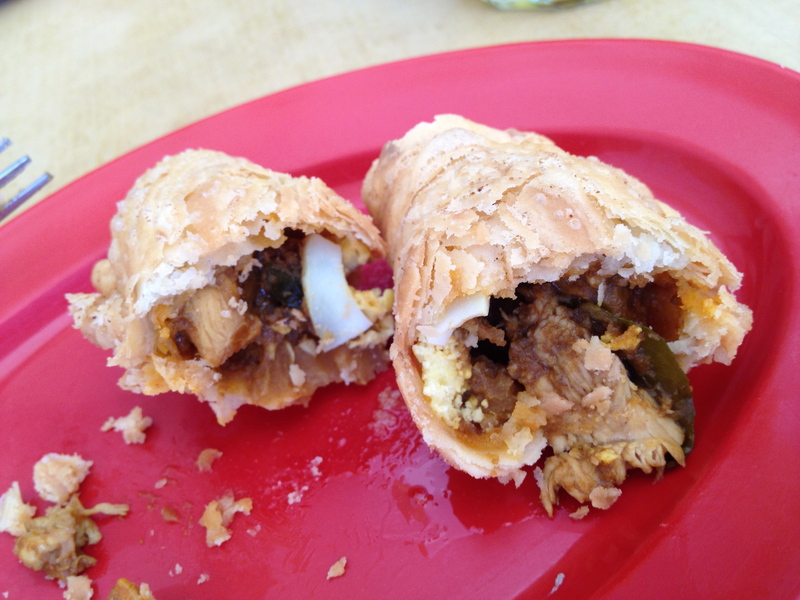 Curry puffs. Not cream puffs or custard puffs. But curry puffs. It was worth the slightly higher cost. Crispy on the outside. Tasty and filling on the inside. Just the right amount of spiciness and savouriness. We plan to go back…. This entry was posted on 27/11/2013 at 22:39 and is filed under Family, Gastronomy. You can follow any responses to this entry through the RSS 2.0 feed. You can leave a response, or trackback from your own site.